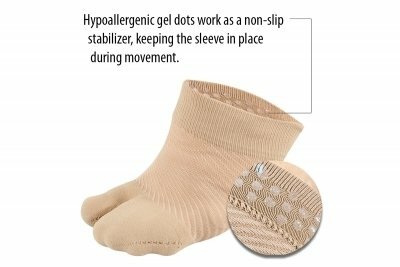 The HV3 Bunion Bracing Sleeve is a first of it's kind bunion therapy device. 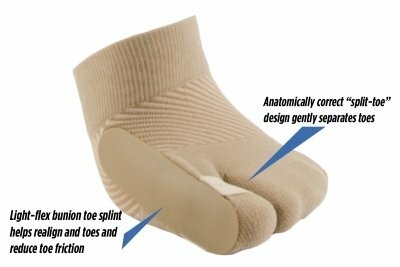 The sleeve offers an anatomically correct split toe design and a light flex bunion toe splint that will help reduce friction and toe splint that will gradually improve tow alignment and bunion pain. Built-in silicone stabilizers hold the brace in place so the splint can straighten the Hallux and help separate toes for gradual correction, relief and recovery. 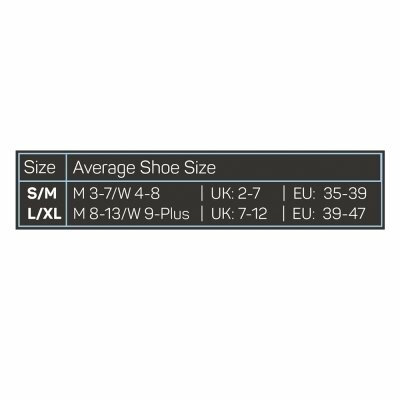 Fits easily with sandals and inside any shoe, for ease of use. The most comfortable and easy to use Hallux Valgus splint ever made. Comes with one (1) sleeve per package.